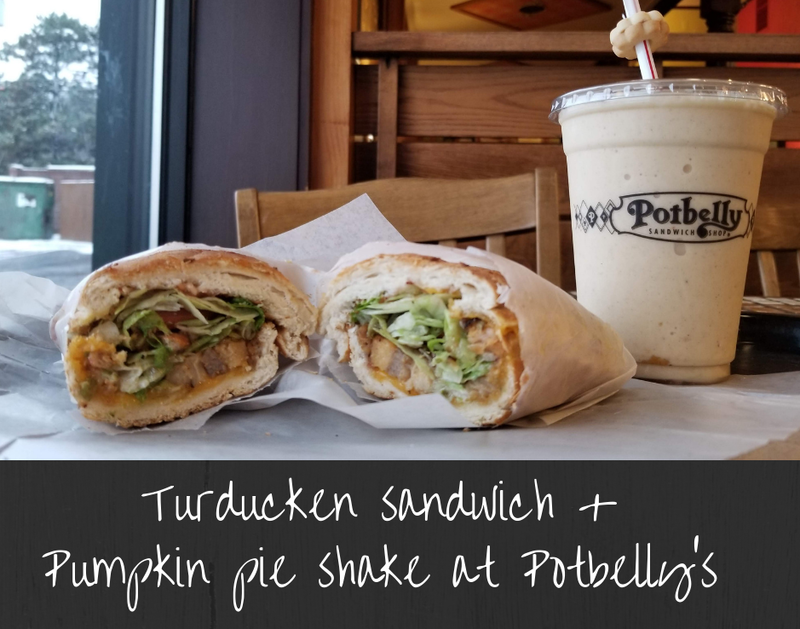 I recently headed to Potbelly to try out its new Turducken sandwich, as well as its Pumpkin Pie Shake—perfect foods to get in the mood for Thanksgiving next week. If you haven't heard of a Turducken sandwich, it's legendary: turkey, duck, and chicken, all wrapped up in one sandwich. 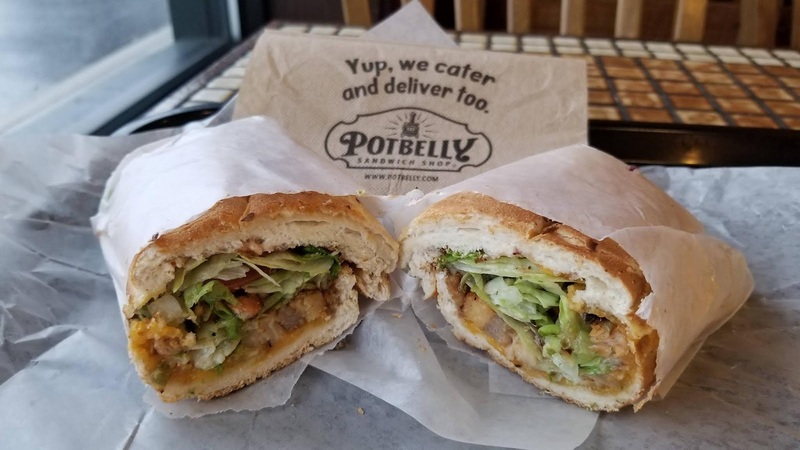 Potbelly's Turducken sandwich features a combination of these three meats, toasted with cornbread stuffing and topped with cranberry honey sauce, mayo, lettuce, cheddar cheese, tomato, and Italian seasoning. 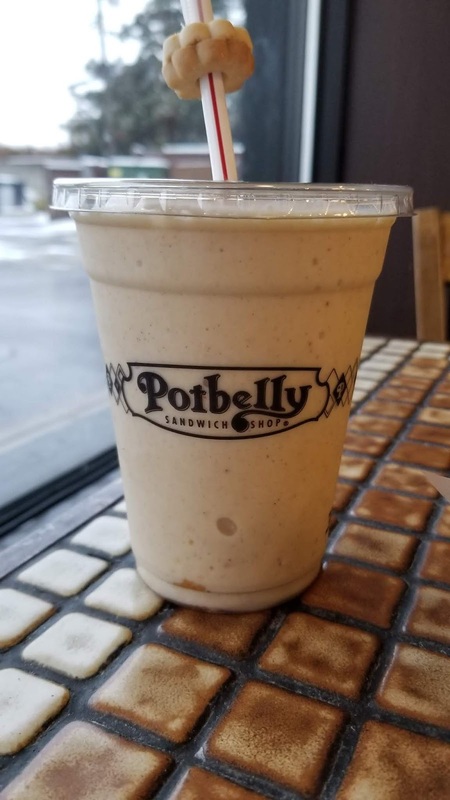 For its Pumpkin Pie Shake, Potbelly blends a whole slice of pumpkin pie into a hand-dipped milkshake, with vanilla ice cream. Yes, you read that right: AN ENTIRE SLICE of pumpkin pie. If you're impatiently awaiting your Thanksgiving meal, the Turducken sandwich would be a great way to quell those cravings. The cornbread stuffing and cranberry honey sauce make it especially festive for this time of year. 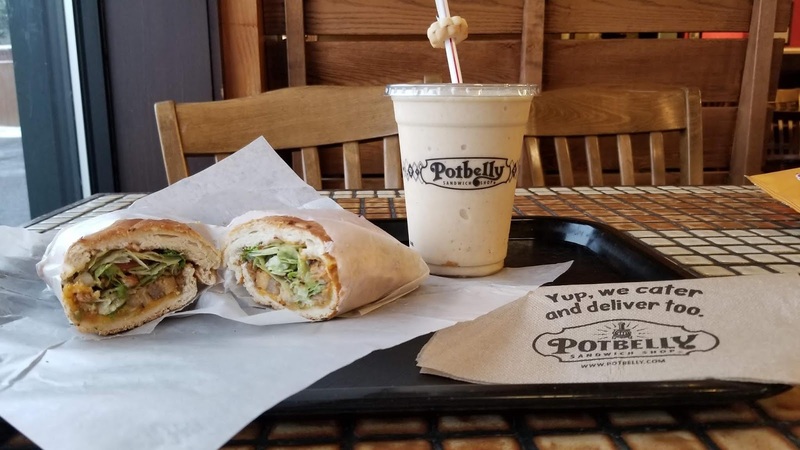 Potbelly was a favorite of mine in college, and part of the reason why is its sandwich bread—it's always perfectly toasted. If you're an adventurous eater, the Turducken sandwich is for you. 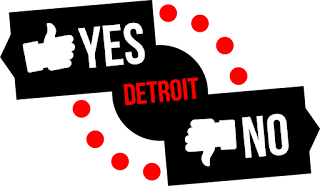 It's difficult to make yourself, as well, so let Potbelly do the work; in my area, the sandwich retails for about $7.50 for a 6" sub. I'll admit that I'm not a big fan of pumpkin flavors, but I LOVED that there were pie parts in the shake, and that you could actually taste them, too. If you're a fan of pumpkin, you will love this shake; it tasted like a combination of pumpkin and cinnamon. 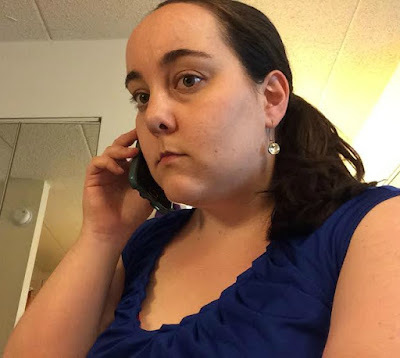 Check out your receipt after you visit your local Potbelly, too—not only did I have an offer for a free cookie with purchase (if you do their survey), I also had an offer for $5 off a $10+ order, which must be used within the next two days. That's a great deal! 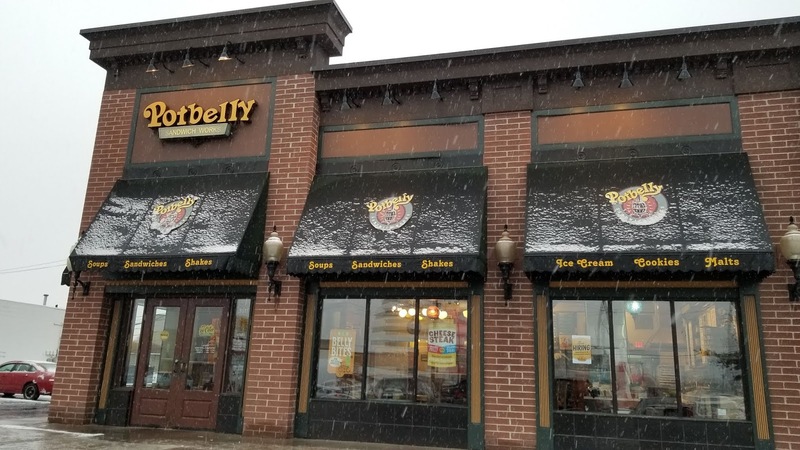 To find the closest Potbelly to you, check out its store locator. 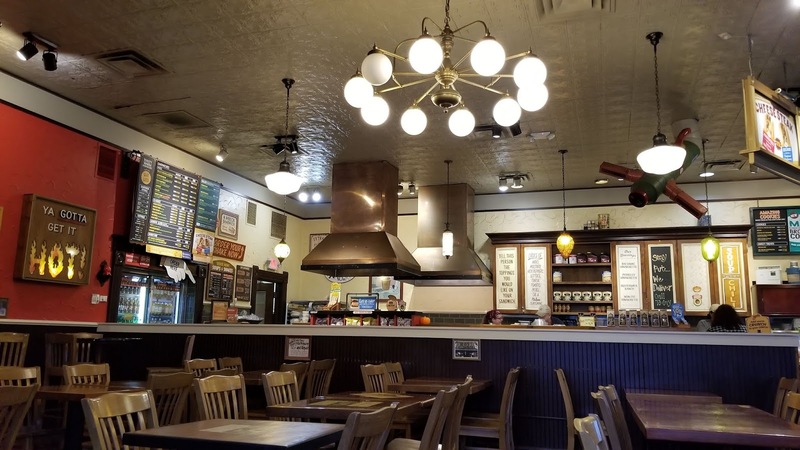 Have you been to Potbelly before? 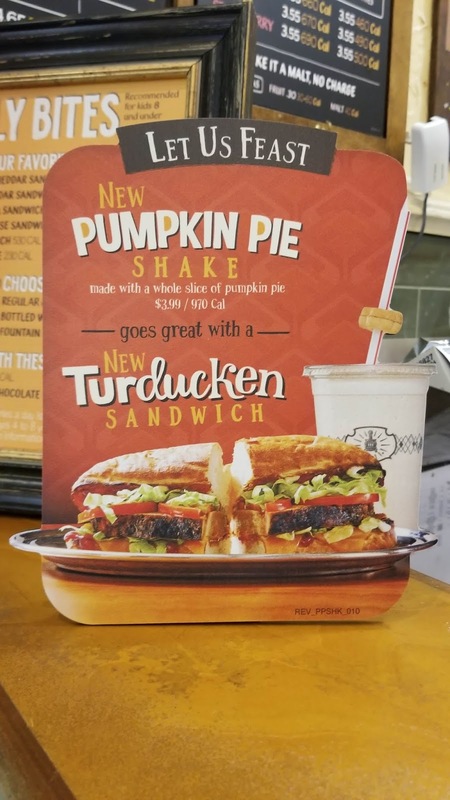 If so, what's your favorite menu item to order there, and if not, would you try the Turducken sandwich and/or Pumpkin Pie Shake?